Can you believe we have about 3 weeks left on the Tans for WOC project! Where has the weeks gone. 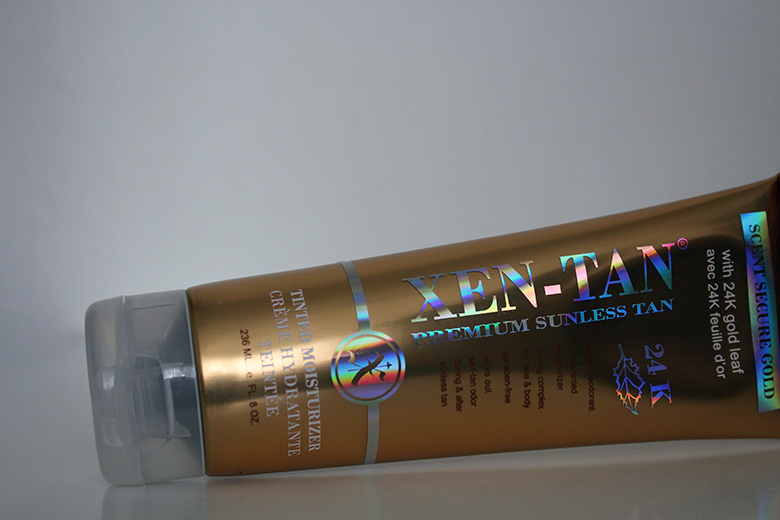 This week it's all about Xen-Tan, we was all sent various Xen-Tan products to try out. I got the Xen-Tan Scent Secure Gold*. Xen-Tan was founded in the USA by a group of dedicated self-tanners who were unhappy with the orange finish, bad odours, dry skin and mess that would often occur with fake tanning products. Developing a range that was easy to use, smelled good and also kept your skin nourished and flawless and a healthy looking tan. To create this revolutionary beauty product, they’ve included a special molecule which surrounds the active tanning ingredient DHA that causes the traditional ‘fake tan smell’. Since being a hit within the US they have launched in the UK & even was named Elle's Best Ever Beauty Buy 2009. This year they launched a sister product to the original Scent Secure - Scent Secure Gold, which I will be reviewing for you. 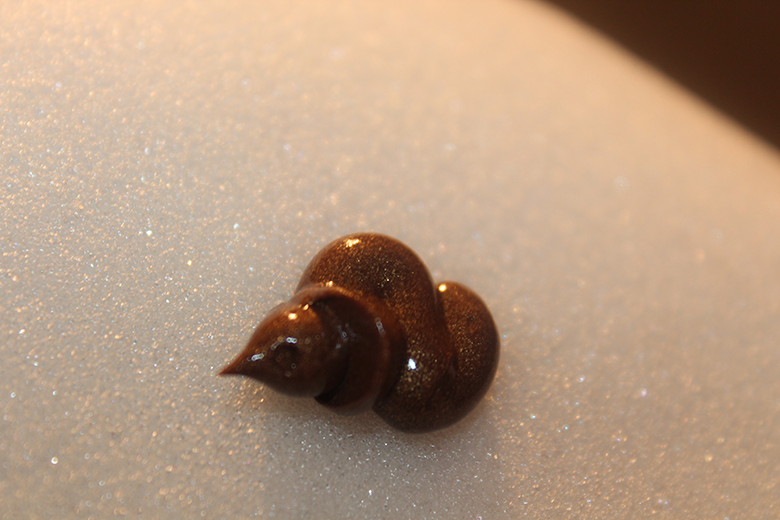 Upon squeezing this out, you notice it's a little dark than a milk chocolate brown, you can see that there is glistening particles running throughout the product. Now this is the only way I can describe this one, when I purchased sweets from SugarSin last month the bag smelt similar to this - yup it smelt like sweets. More specifically maybe it's a watermelon it's not as sweet smelling as the MakeBelieve but it's still pleasurable. 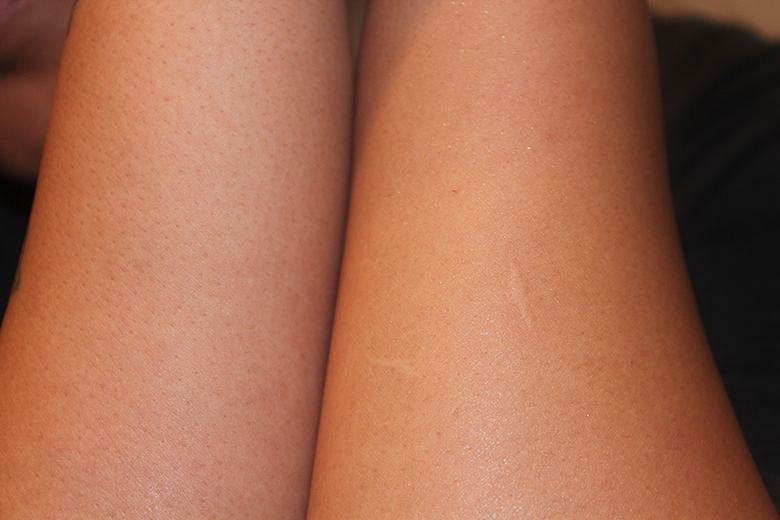 The left side // no tan. The right side // tan. Out of them all so far to create a glow that enhances my skin tone - that gives off something more natural but with a glisten - this is ideal for me. The glitter particles don't even bother me as there not large, that image was taken with the flash on and it picks up where the glitter is but it's not overbearing. It gives me a nice, even coverage. Only problem? It doesn't last long, 4 hours max before it needs reapplying and for this reason I would score it lower as the longevity doesn't justify the price. Yet for what I'm looking for it's ideal. Maybe more than one application is needed to help it last longer but I then think once it's built up, it might be too much of a disco ball. ** This product is not tested on animals. For me, the best quality of this product is the presence of shea butter along with the beautiful color provided by the product. Also, its fragrance makes it different and better from other tanning products available. But don't you think that the price of the product is little high.